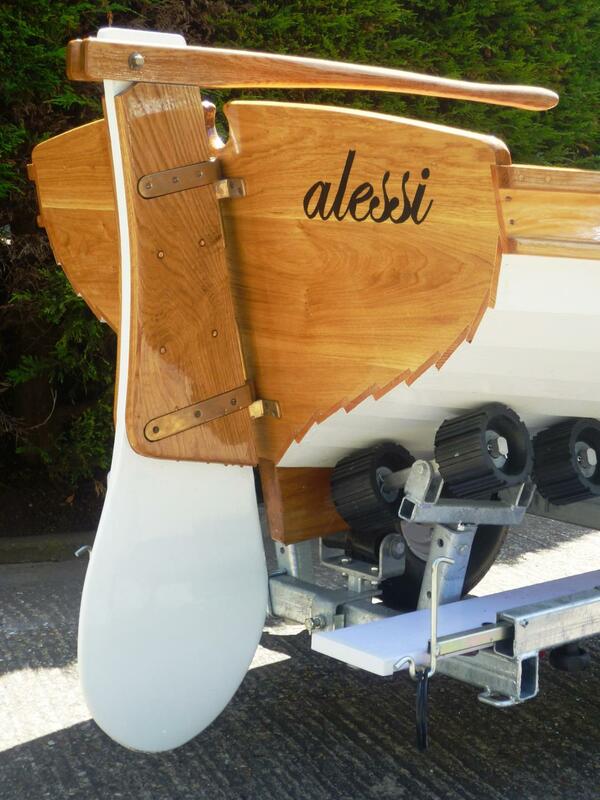 Alessi is a traditional clinker sailing dinghy designed by Paul Gartside and numbered the 130 design. 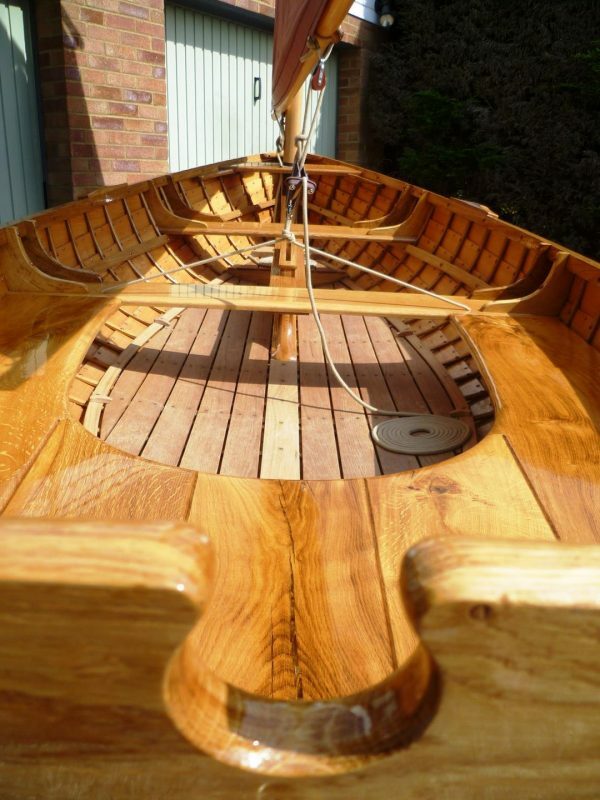 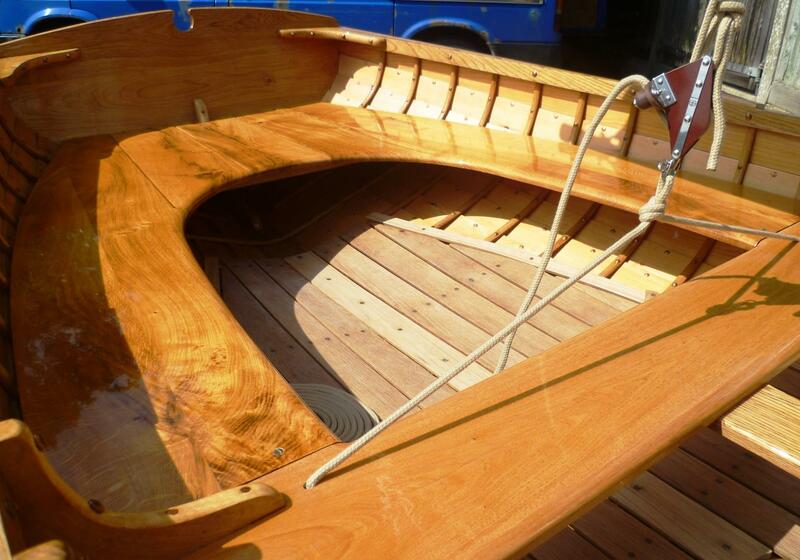 Brand new and beautifully built to a very high standard by James Higson a talented former student at the Lyme Regis Boat Building Academy. 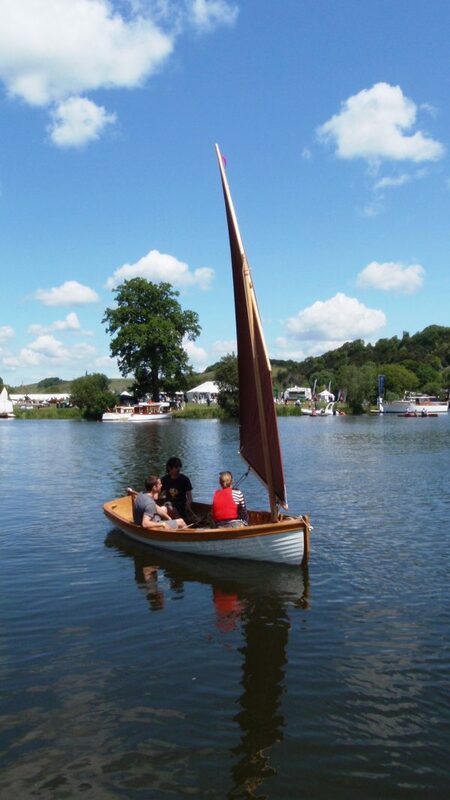 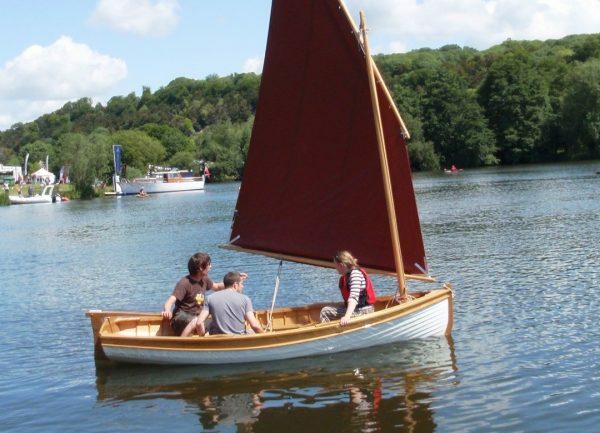 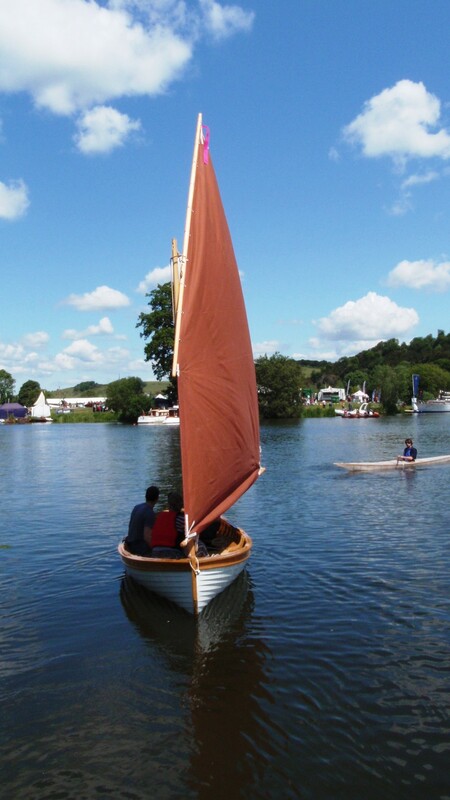 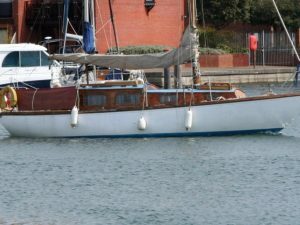 Alessi was exhibited at the Beale Park Boat Show where she received many admiring comments and was commissioned and sailed on the lake. 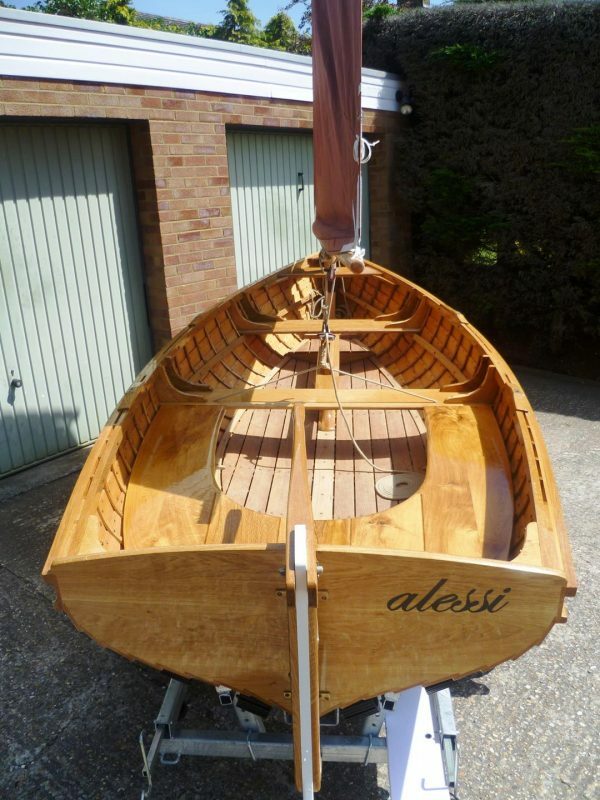 Alessi was also entered in the Best of the Best catagory at Art in Action, Wheatley, Oxfordshire as the Boat Building Academy’s sole entry. 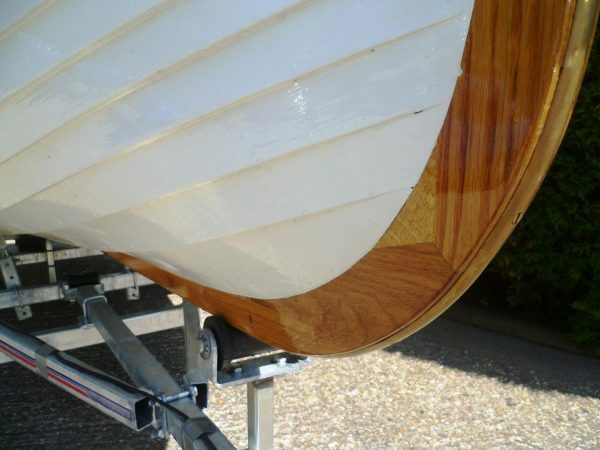 To commission a boat to this specification would currently cost in excess of £14,000. 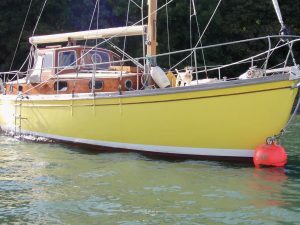 Standing lug with spruce mast, boom and yard. 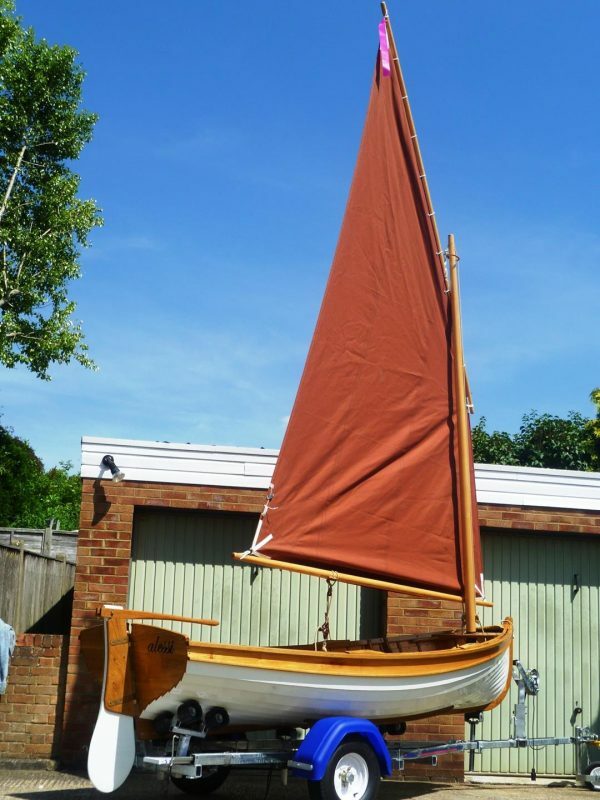 <Main Tan clipper canvas sail with slab reefing. 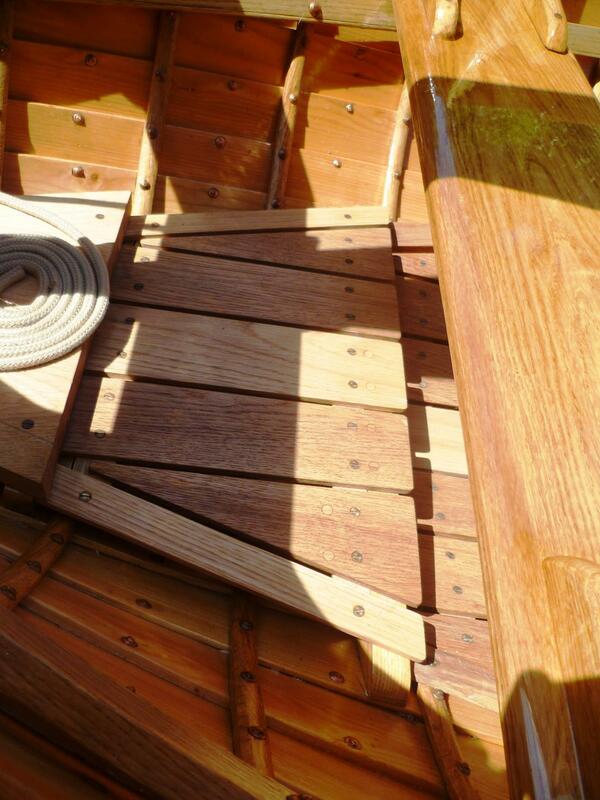 New overall cover in 2011, New bespoke hand-made leathered spoon oars with bronze rowlocks. 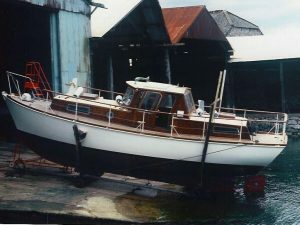 2011 Indespension galvanised A-frame road trailer. 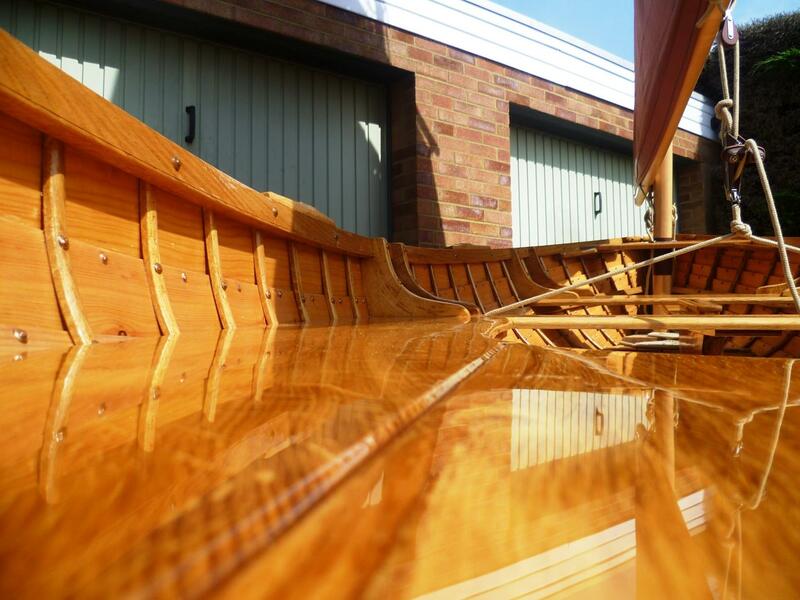 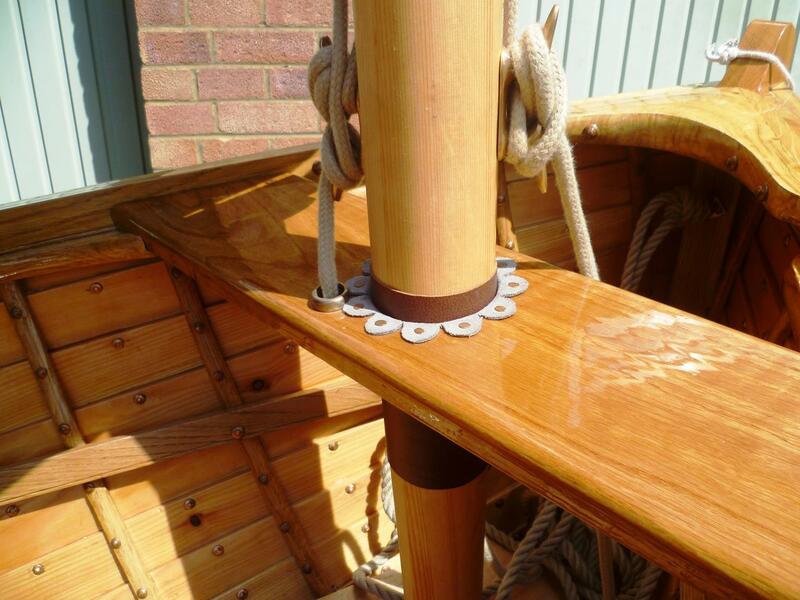 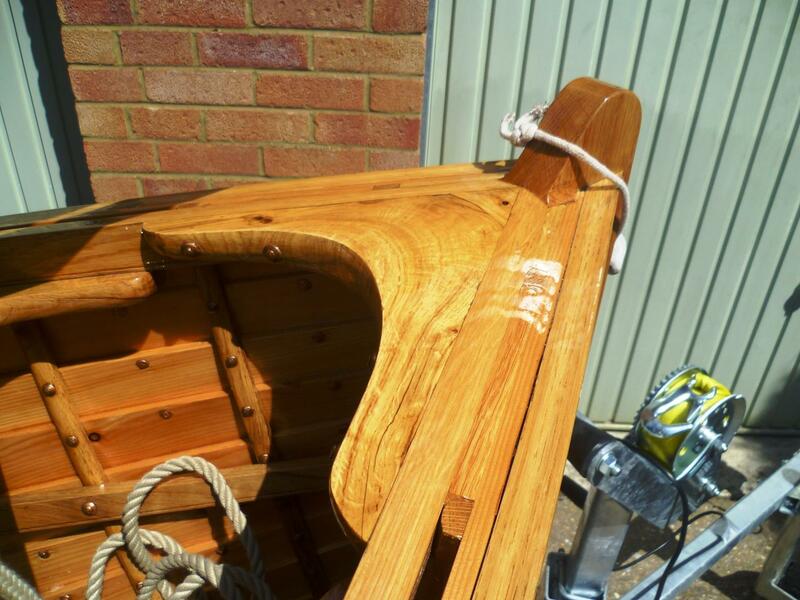 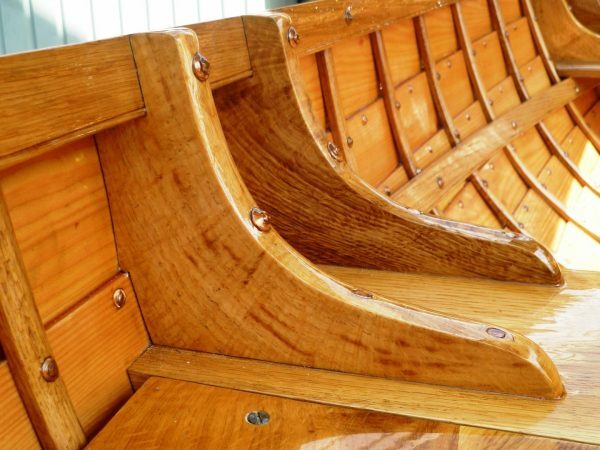 <style=””text-align: justify;””>A rare opportunity to purchase a brand new traditional sailing dinghy, beautifully built at the famous boat-building academy in Lyme Regis. Only sailed once and offered with a new road trailer, Alessi would make a attractive addition as a tender to a large classic motor or sailing yacht and a superb family boat for exploring lakes and estuaries or for sailing on Henley Reach.